Aidan Hart is a former Head of Religious Education in several large Catholic comprehensive schools in England and Wales, retired senior inspector with the N. Ireland Department of Education and Training and was the first N. Ireland Department of Education inspector of Religious Education. He was chairman of a local primary school’s Board of Governors, vice-chairman of another and member of a third. He currently serves on his diocesan ecumenical commission. Here he reflects on the role of RE in Catholic schools and suggests an alternative to the present situation. It builds on the best of what is already there, avoids the pitfalls and restores the rightful roles of parents and parish. Modern societies across Europe and much of the northern hemisphere have become more religiously and culturally diverse. Democracy, equality, human rights and personal autonomy are central to people’s thinking. The aims and content of school-based Religious Education, often simply termed RE, have changed over recent times to respond to that situation, including RE in faith schools. Without further, ongoing change RE will follow Latin and Greek out of the school curriculum into oblivion. The strategy outlined here to prevent that happening is built upon two convictions. Firstly, home and parish are the best places for denominational religious education and faith formation; the parish primarily, but not exclusively, for religious, including sacramental, education and the home, primarily but not exclusively, for faith, spiritual and moral formation. Secondly, schools with multi-faith (and no-faith) enrolments should teach only multi-faith RE (sometimes called Religious Studies), including belief systems such as Humanism, to all their pupils OR remove RE/RS from their curricula altogether, as in America. Religion is a world-wide and deeply human phenomenon which cannot, or should not, be ignored. It is how a vast number of people today, and throughout history, have tried to make sense of their world and of their own lives. The aim of the multi-faith RE programme should be to develop appropriate concepts, attitudes, skills and knowledge (CASK) for the understanding of religion. These attributes will help pupils explore rationally, objectively and fairly the religious and moral beliefs, spiritual practices and traditions of major world religions and their significance in helping their adherents make sense of their world. In doing so young people would be helped to question and make sense of their own world in all its many dimensions and complex issues and of their own lives and experience of being human. The absence of RE from the school curriculum would seem to apply particularly to primary schools whose pupils will not have developed sufficient capacity to understand the complex issues involved nor have a sufficiently developed understanding of their own families’ faith (if it has one) on which to build a multi-faith understanding of the phenomenon known as ‘religion’. Multi-faith RE (including humanism) for all pupils at secondary level has a positive contribution to make to the common good of an increasingly pluralist society. It encourages all young people, through their common educational experience, to relate positively to each other and to live together in social harmony, built upon mutual understanding, respect and sensitivity. That aim should also be part of the parish-based, well balanced and adequately resourced programme of Catholic RE and of the Catholic home, where the Catholic faith should inform all that takes place and is the lived-experience of every family member. School, single-faith based Religious Education has limitations which often go unrecognised. It has been little researched as to effectiveness, particularly in the Catholic sector; a surprising absence, considering the amount of time, effort and money that has gone into it over a long period of time. It does not, and likely cannot, of itself transform young people’s consciousness and lives. It does not help them recognise, experience and accept the existence of the eternal invitation from God to the whole of humanity. That invitation is to respond to His freely offered relationship of compassionate, creative, generative and transforming love. Compassionate love, as shown to the Prodigal son by his father, sees only the beloved’s return and not his (or her) failings and sins. God’s love is a love which, when embraced within all aspects of one’s life, causes one to worship God wholeheartedly and joyfully, forgive generously, create a vision which sees God in everything and everyone, to generate new life in the Spirit and transform lives from looking inwards towards self-gratification to looking outwards in loving service to others. That spiritual experience is ‘caught rather than taught’, is experienced rather than learnt. And the place where it will or should be experienced most is the home. It reflects the ancient Hebrew people’s experience of God’s constant presence in their lives, guiding and chastising them but always faithfully loving them. Without that experience, religion and Religious Education remain external to one’s consciousness and everyday life, a series of ‘things’ to be learnt and believed and rules to be obeyed rather than a loving relationship with God to be cherished and enabled to grow. A spiritual ethos within a Catholic school which embodies within its everyday life the experience of the aspects of God’s love listed above, can certainly make an important contribution to handing on the Catholic faith. Great credit must therefore go to the many Catholic schools and Catholic teachers who are working hard to create and reflect that ethos in their teaching and relationships with pupils. That ethos, combined with a high level of positive discipline and academic success, is what makes Catholic education appealing to many parents from different Christian denominations and faiths and even to those of no religious faith. Credit must also be given to the members of male and female Religious Orders and local clergy who gave unstintingly of their skills, time and resources to assure the quality education of past generations of Catholic children in Catholic schools throughout Ireland and much further abroad. Their salaries were often ploughed back into their schools to improve the quality of resources available to their pupils. That spiritual ethos, present in many faith schools and integrated schools, is an important safeguard against the agressive form of secularism that is spreading throughout much of society and wants to banish all religion from the public domain. What is required, in addition to Catholic Religious Education, is the spiritual experience of God’s loving presence in our lives through being loved in that way by those close to us, especially by our parents and siblings. The home is the natural cradle of love. 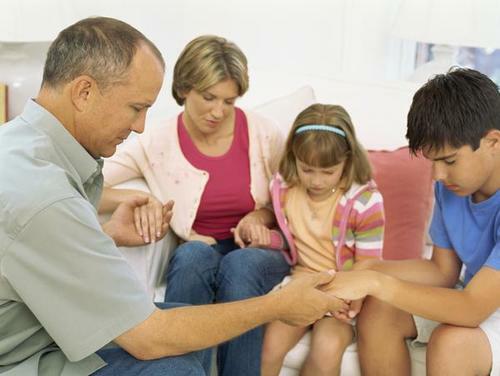 The fervent religious practice of parents is the hand that rocks the cradle. Religious Education, particularly at the secondary school stage, mostly involves the mind, the imparting of information, critical judgement, objective analysis etc, whereas the home involves the deepest aspects of one’s emotions and spiritual soul. Both are necessary but the home-experience of being loved is foundational, the most important and lasting. Can, or should, the Catholic school deliver Catholic RE while the Catholic home delivers the experiences of love and a vibrant faith? That is rather simplistic. It ignores the current, multi-faith dimension of many Catholic schools which must (or should), of necessity, limit the scope and intention of the school’s programme of Religious Education. Bishop Donal McKeown now talks of Catholics Schools for children of all faiths and none but does not seem to have worked through the implications of that new approach for both Catholic pupils and pupils of other faiths and none. The above question also ignores the lack of an informed practice of the faith by many Catholic parents who often regard commitment to the faith as merely regular attendance at Sunday Mass. That may seem a harsh judgement but it is not the fault of parents, most of whose own religious education ceased when they left school. Without ongoing religious formation for parents (and all Catholics), in partnership with their parish, they will continue to find it difficult, if not impossible, to respond adequately to the religious, spiritual and moral (ethical) needs of their children and to grow their own faith in terms of a developing a relationship of love with Jesus the Christ. Modern multi-faith Catholic schools are legally (within the UK) and certainly morally bound to offer Religious Education to all their pupils, and not just to their Catholic pupils while ignoring the religious needs of the rest. It is a statutory requirement at all key stages of primary and post primary education, although parents have the statutory right to withdraw their children from RE lessons. Many Catholic schools with a multi-faith enrolment are currently breaking the law in that respect by only offering Catholic RE to all pupils or to Catholic pupils while ignoring the religious needs of their pupils from other faiths. Religious Education should never be seen or experienced as proselytising non-Catholic pupils. It cannot be Religious Education in the Catholic faith imposed on all pupils, whatever their faith or denomination, as it often is, especially in small, rural Catholic primary schools during preparation for First Penance and First Communion and later for Confirmation. Nor should it be carried out while non-Catholic pupils sit at the back of their classroom occupied in doing something else (usually homework or reading a novel) or under supervision in the school library, if there is a free member of staff for such supervision and if the library or another suitable room is available. In addition, separating children in that way is rather divisive and undermining of the inclusive ethos espoused by most Catholic schools. It can also be embarrassing to many of the separated pupils who then feel ‘different’ or ‘left out’. It would seem then that the most appropriate response of the modern Catholic multi-faith secondary school is to offer all their pupils a well constructed multi-faith Religious Education programme, taught by teachers professionally trained in multi-faith religious education. That would help prepare young people for peaceful and constructive participation in later life in an increasingly multi-faith society. The ethos of the multi-faith Catholic school would include welcoming ministers of all Christian denominations and faiths into the school to speak at assemblies and RE lessons, celebrating religious festivals of the various faiths and Christian denominations represented within the school, visiting various places of worship, respecting all members of the school community and reaching out to those in need within the wider community. This is not about helping Catholic schools survive in a situation in some areas of decreasing numbers of Catholic pupils seeking admission. It is about seeing the multi-faith dimension of the Catholic school as a positive and universal (catholic with a small ‘c’) asset, opening up many exciting possibilities for all its pupils and parents and thus making a constructive contribution to the common good of the wider society. But how are Catholic pupils to be taught about their own Catholic faith and prepared for the reception of various sacraments? And what about the importance of experiencing God’s unconditional love, which was mentioned above? Who is going to provide that? A structured and well resourced Catholic RE programme should be provided by each Catholic parish for its own young people, as is done currently and successfully in most Protestant communities. It has worked well for Catholics in America and many others countries around the world so why should it not work well in the UK and Ireland to give us young people with a vibrant Catholic faith for the future? But it requires careful preparation and commitment of both parish and home and the investment of time and money. It cannot be left to the clergy nor can the clergy opt out. The experience of living a vibrant faith built upon unconditional love will be the role of the Catholic home, which it should always have been anyway, actively supported by the Catholic parish RE programme and the ethos of the Catholic school. The active partnership between Catholic home and Catholic parish could put together a programme of biblical, sacramental and ‘doctrinal’ RE, combined with a wide variety of appropriate, age-related religious and spiritual experiences. These will include liturgies and para-liturgies put together by the young people, volunteer teachers, clergy and parents; also retreats, religious drama, Lectio Divina, lively Praise Services and Services of the Word, peer religious guidance, Junior branches of the St. Vincent de Paul & Legion of Mary etc. Some of the para-liturgies could or should take place in the home, with all members of the family participating, on a weekly or monthly basis and especially on such special occasion as birthdays, Mothers and Fathers Days etc. If done well, and combined with short, daily times of spontaneous prayer and set prayers (e.g. before and after meals and before going to bed and on rising etc.) and an atmosphere within the home which recognises the presence of God and in which all are unconditionally loved, respected and cared for, the home will be the major place for the experience of God’s unconditional love and a vibrant faith, supported by the parish Catholic RE programme and liturgies, and the multi-faith programme and ethos of acceptance and respect for all faiths and none within the Catholic school. Now you have read the article please leave a comment below and join the debate. You may use your own name, or a pseudonym if you wish to remain anonymous. For me, Aidan, that is a completely convincing analysis, as well as an outline strategy for tackling this problem. Have you thought about how to begin tackling misgivings of that strength? Do you know of anyone’s recorded experience of giving it a go? There’s a possible minefield here, surely. Thank you Aidan, a thought provoking article indeed. It is encouraging that such programmes and methods have worked for other faiths and in other countries.I console myself with the knowledge that the message of Christ has lasted for over 2000 years, despite many major crises. As Sean points out, the ability and commitment of Irish parents to play their part will be a problem. When are the Irish bishops going to address the lack of adult faith development since most left school? Many elderly priests, struggling alone in parishes, are just coping with masses, baptisms, weddings and funerals, with no enthusiasm for anything creative or spiritual. Few parishes are encouraging or allowing the laity to contribute to addressing the challenges. Sean, I tentatively suggest that the whole process should start with the local Bishop setting up a Diocesan Faith Formation Team of clerical and lay people with experience in child and adult religious formation and in the production of relevant teaching and learning resources. This team would have the remit of conducting exploratory talks with parents and local clergy in a small number of parishes in the diocese (small, large, rural, urban etc) to ascertain their views about their own faith journey and what they think they would require to help them play their active part in their Parish Faith Formation Programme outlined in the article. The results, with recommendations, would be set out in a short report to the local diocesan Bishop. Without his agreement and enthusiastic and practical support, and that of his parish clergy, nothing worthwhile will happen. Informed by what they heard from parents and others, and incorporating the recommendations within their report to the Bishop, the Diocesan Faith Formation Team would then put together a Parish Faith Formation Programme (which could include the adaptation of existing programmes from around the world) for parents, children, young people and Catholic adults of all ages. Volunteers would then be sought from within each parish to train in the delivery of aspects of the Parish Faith Formation Programme. The training could be carried out either by members of the Diocesan Faith Formation Team or by a national Catholic body or a local Catholic Teachers Training College. The recruitment and training of volunteers would need to be an ongoing exercise to allow for turn-over. The active, committed and eventually confident participation by parents is foundational. Money would have to be made available from Diocesan funds to the Faith Formation Team to cover the costs of the exploratory meetings, the report of their findings and the construction or adaptation of a range of suitable resources. Money would also be required to cover the cost of training the Parish Faith Formation Volunteers. The cost of supporting the ongoing work of each Parish Faith Formation Team would be met by each parish. I say in my opening sentence ‘tentatively suggest’ as some recent diocesan and parish initiatives seem to have been ‘talked to death’ or are taking so long to come to fruition that the initial energy and excitement at parish level have been dissipated and cynicism set in. To avoid that trap I would suggest a strict two year timetable for all the above stages. Yes, it’s tight but the programme can be further improved as it goes along and is regularly reviewed within each parish. An alternative model would be to start small, with an already existing programme from a diocese in England or American, or wherever, and introduce it into a few parishes who are keen to get started, with a minimum of training for Parish Faith Formation Volunteers. 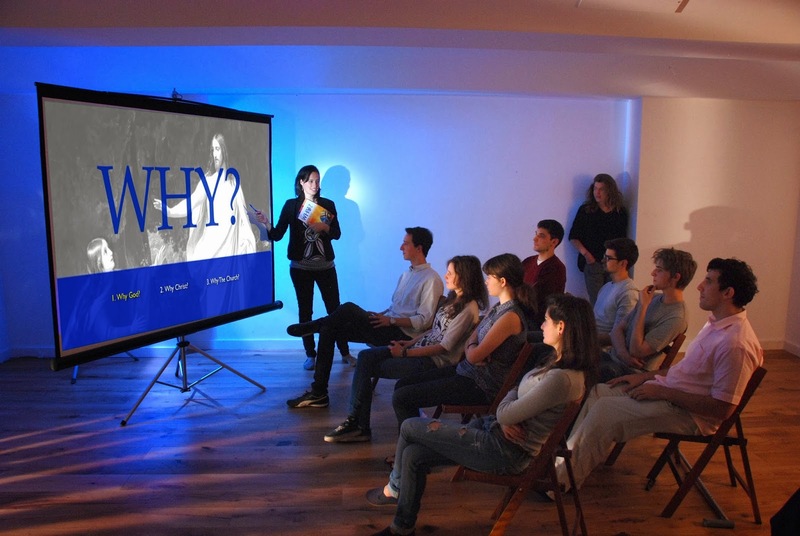 The Diocesan Faith Formation Programme could then spread out from there, building on the success and experience of the early innovating parishes.This could also involve the adults meeting regularly in small parish Faith Formation Cells to share their faith experience, using a variety of media provided by the Parish Faith Formation Team to stimulate discussion on various faith topics and grow their faith. From experience I would suggest that regular support and guidance be provided to cell leaders and that the office rotate every few years around group members. On could start with a few cell groups, each tasked with welcoming new members to a given maximum. As that number is reached the cell would then split and form a new cell, again welcoming new members into their midst. That could likely be set up within a year or so. Aidan, I’m toying around with your alternative suggestions for action. As a further alternative for making a start, would we consider getting together with a few committed parents and others to talk about what, in the current social context, might be an ideal family based form of faith formation and what kind of support one could envisage for such? I suppose I feel drawn to family/community based domestic Church. That seems very sensible to me, Teresa. Aidan’s great ‘Plan A’ depends upon the initiative of bishop and clergy – but so far there has been no sign of any bishop moving that way – or even recognising openly the scale of failure of the school-centred system. We need to begin exploring the possibility, even necessity, of a Plan B – one in which parents – and maybe grandparents too – take the initiative. Soon enough the clerical system we have inherited will be dwindling to the point of near-invisibility. That is not an unprecedented situation in the history of this island – it happened after 1649 when popular culture was pre-literate. The core of the faith survived then somehow – so it will again. Just now our clericalist conditioning makes us hesitate to gather together in the manner Teresa suggests – in the absence of clerical approval and oversight. We need to overcome this inhibition urgently. We bring together small groups of parents and others in physically convenient places beyond parish boundaries. One such place in Dublin is the Lantern Centre lanterncentre.org. – where the ACI Steering group has had a few S.G meetings in the past. Initially one could approach the task through inviting a few parent groups and others. The meetings could begin with well planned informal sharing of experiences. We might be able to get a team of 2 or 3 ACI members to start a group and let it develop from there. The programme would be life based, not doctrine based. There are two groups to keep in mind; adults and children/teenagers. Your suggestion would likely work with some adults, for those willing and able, and with time, to travel to convenient venues. Martin Murray is already doing that in what he calls ‘catholic conversations’ under the umbrella of ACI. We are lucky in that Martin is an excellent chairman/facilitator who also has a lot of Audio Visual resources to draw on and he puts in the hard work to pull it all together for a monthly meeting and to write a good summary as a handout. We are also lucky in having a convenient and central location i.e. Shalom House in north Belfast, which is a large house owned by a Charismatic Community (mostly Catholic, I think, but very ecumenical in outreach and ethos) with plenty of facilities willingly put at our disposal for a relatively small fee towards upkeep of the house. Our numbers are very small, between 6 and 12, and most in the 60+ age group. However, we began this whole debate with Sean’s article focusing on RE in Catholic schools and its very limited success as a vehicle for passing on a vibrant faith to future generations. That also needs to be tackled with urgency otherwise there won’t be many practising Catholic adults in the future willing to attend the cell groups or ‘catholic conversations’. My plan of action (the Grand Plan) included both parish and home action for both groups (parents and children), the alternative plan didn’t but should have. Have you any suggestions for what to do for the young Catholics within each parish with regard to their faith formation outside school? I totally accept the weakness of what I propose in relying on the Bishop and dwindling number of overworked clergy to agree the plan, set it up and adequately resource it. Without their active and enthusiastic support and some financial help, I can’t see much happening that will have a significant effect on appropriate numbers. But if we wait for that ??????????…. nothing is likely to happen either in the near future. That is the conundrum that faces us! Do you see a constructive and effective way out of it? “* it begs the question: what is the purpose of a Catholic school? The values, ethos etc that you mention in your response are shared, for the most part, by those responsible for grammar, ELB, Integrated etc schools. What then would be distinctive in Catholic schools? Would there be space for Jewish, Muslim etc multi-faith schools? Consequently, I am finding it really difficult getting my head around the concept of a Catholic Multi-faith school. * Where would the teachers professionally trained in multi- faith RE be trained / come from? I ask this as it has been impossible to date for our teacher-training institutions to come together under the same umbrella. They remain as, largely, training institutions for catholic and for protestant teachers.